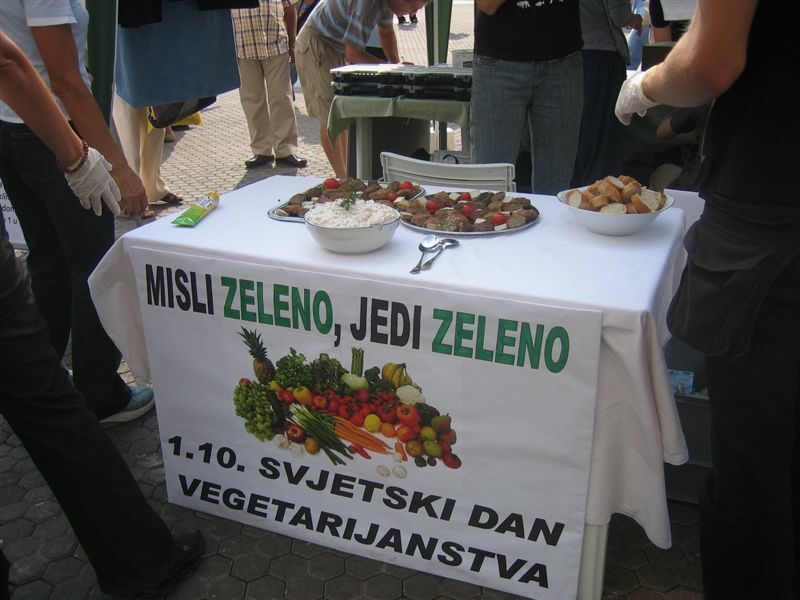 Animal Friends invites the public to taste vegan dishes on Ban Jelacic Square at 11 A.M. on the information stall that will be set the whole day. Seitan and tofu, fried without eggs, will be offered together with vegan French salad as part of the event which will mark the end of the Veggie Challenge. Participants of the Veggie Challenge decided to go vegetarian or vegan for 14 days – from the ZeGeVege Festival to World Vegetarian Day. Individuals from 25 Croatian towns joined the challenge, amongst them the Croatian celebrities Petra Nizetic, Iva Sulentic, Ivana Radovnikovic and Ana Stunic, who will also be present during the tasting. The majority of the participants of the Veggie Challenge will become part of the ever growing vegetarian population of more than 150,000 in Croatia at the moment. World Vegetarian Day is their day, but also the day of the majority of the population which understands the importance and advantages of a vegetarian lifestyle. On the same day, the petition for the introduction of vegetarian meals can be signed on the stall. On the occasion of the arrival of the former MEP Jens Holm to Croatia, Animal Friends will on the all-day info stall on King Tomislav Square and invites the citizens to the lecture "Food and Climate" which will be held in the Europe House Zagreb, Jurisiceva 1, at 7:30 P.M.. After the meeting with members of the Committe for Environmental Protection in the Croatian Parliament, Jens Holm in is lecture will present shocking information about the biggest threat of life on Earth - climate changes. After the lecture every attendant of the lecture will get a copy of the report The Livestock Industry and the Climate by Jens Holm and the journalist Toivo Jokkala, while the banquet will be organized afterwards. The organization FARM - Farm Animal Rights Movement started to mark World Animals Day on the birthday of the vegetarian Mahatma Gandhi. Today this day is marked around the world in order to bring attention to the suffering of more than 50 billion cows, pigs, turkeys, chickens and other conscientious beings who every year are being killed on farms and in slaughterhouses all over the world just so we could for a brief moment enjoy the meals which actually are harmful for our health and environment. After the information stall on the corner of Varsavska ulica and Petar Preradovic Square where Animal Friends will bring the millions animals tortured in laboratories into spotlight, in order to influence the public to develop an attitude against vivisection, then the new web site www.vegan.hr will be promoted. The promotion will take place in the Internet club SublinK, Teslina 12, at 7:30 P.M. and after the promotion there will be some socializing and tasting of vegan muffins, chocolate cubes and pies. The web site www.vegan.hr is the new project of Animal Friends whose purpose is to acquaint the public with the vegan diet and to resolve prejudice to the vegan nutrition and lifestyle connected to it. 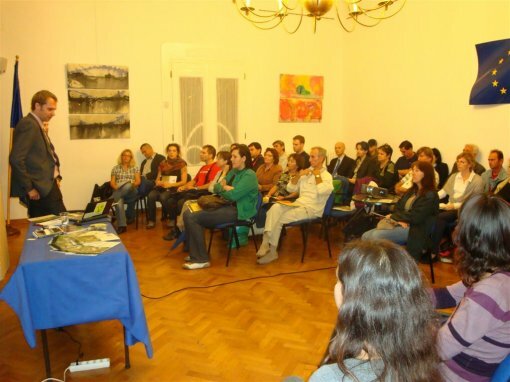 The web site is abundant in advices and information about how to live vegan in Croatia and represents veganism as a movement of active individuals who, besides care for their health and other people, also care for the welfare of other animal species and the planet as a whole. The complete online edition of the book Vegan – the New Ehics of Eating by Erik Marcus also is published on vegan.hr. The short film "Veni Vidi Vegani" will be shown during the promotion. 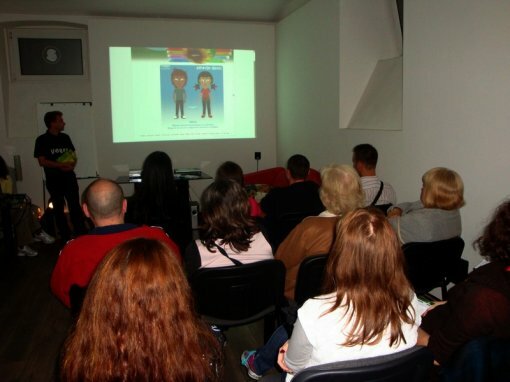 After Ivana Surjan, the member of Animal Friends and one of the World Animal Day ambassadors invited individuals and associations in Croatia to join in the marking of this international day, Animal Friends also joins the City of Zagreb which organizes the marking of this day at Zagreb's Bundek lake. Besides holding the information stall, Animal Friends will offer a program for children and grownups with performances of the children's choir Kikici, the dance group Capoeira, as well as the etno singer Elma, and the siner Minea. Vrecko, the bag monster, will also be there in order to caution against the danger of plastic bags for animals and environment. On World Animal Day Animal Friends will launch one new petition. Because of the great number of dissatisfied citizens with the Croatian Animal Protection Act not being enforced after almost three years, they want the reform of the veterinary inspection. The veterinary inspection should be more efficient, should have more inspectors and should be more ready to supervise and sanction animal abusers and everyone who is breaking the law. The citizens are invited to sign the petition which will be available at www.prijatelji-zivotinja.hr after World Animal Day. Sponsors of Animal Friends Days are: Biovega, Eco natura, Encian, Malleus, Omegol, Repro eko, Vegehop, and Zale.